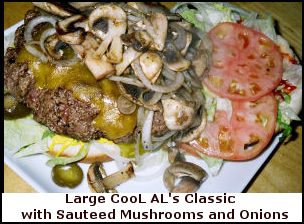 One of my favorite things to do on a weekend when I’m home alone is to order the large Garden Burger with sauteed onions and mushrooms to go. I should mention that they will tell you that it will be ready in 20 minutes, but I’ve always had to wait when I showed up there 20 minutes later. Anyway, I take that monster veggie burger home and eat half of it while I watch some sporting event on the tube. I take the other half (except the bun) and refrigerate until suppertime when I crumble and mix it with a can of tomato sauce, and then simmer while the spaghetti is cooking. You know the rest of the story. Is this why people don’t like Comcast? So I turn on my television and I get a message that my service has been suspended and that I should call a certain telephone number. Below is the transcript of the phone call, the names of the Comcast personnel disguised. Aarti > Hello Phil_, Thank you for contacting Comcast Live Chat Support. My name is Aarti. Please give me one moment to review your information. Aarti > Hi Phil, how are you today? Phil_ > not so good. i've been holding on the phone for 28 minutes now. Aarti > I am sorry for the inconvenience. Aarti > How may I assist you today? Phil_ > I attempted to login to my account, but I'm told I must have a PIN due to new security regulations. I would like to receive this new PIN. Aarti > Is this for your e-mail account? Phil_ > No. This is for my cable service. I have phone, internet and cable bundle service. One TV tells me that my service has been suspended, but others are still working - as is the telephone and internet. So, what's up? Aarti > I am very sorry about that Phil. I am going to need to transfer you over to a different market Phil. One moment please. Michelle.A > I will be very happy to assist you with your concern today. Michelle.A > For account identification, can you please provide your account number? Michelle.A > I will be just one moment while I bring up the required information. Thank you for your patience. Michelle.A > I understand that you would like to have your Security Pin, is that correct? Michelle.A > Did you receive my last message? Phil_ > Speaking of patience, I called 800-comcast over 38 minutes ago and am still on hold. And yes, I called to get the PIN so I can find out why my television is displaying a message that my service has been suspended. Phil_ > Why is my television displaying this message? Phil_ > My account is current. My bill says that my next due date is 3/10/08. Michelle.A > I see. I do not have information about your Cable services. What I can do is to send to you the PIN via US mail. Phil_ > Who can help me? Michelle.A > About your bill, I can transfer your chat to our Biling Department. For the mean time, would you like me to send the PIN to you via US mail? This will take about five business days for you to receive, is that okay? Phil_ > Please enter the Security PIN that we sent to you by mail. If you don't have it, please call 1-800-COMCAST to request your PIN. Michelle.A > I understand. I can also send this to you via your Comcast.net email, is that fine? Michelle.A > Okay, I will transfer you to our Billing Department. Thank you for your patience. Phil_ > OK send it by e-mail. Phil_ > WAIT! send that PIN! Michelle.A > All right. Should I still transfer you to the Billing Department after I send this to your email? Michelle.A > Could you please verify your comcast.net email? Michelle.A > I have already made a Security Pin resend to your email. It will take about ten minutes for you to receive it. Before I transfer you to our Billing Department, do you have questions for me about your Internet service? Phil_ > No thank you. Michelle.A > Please give me one moment. I appreciate your patience. Anderson.B > I am certainly going to assist you with your concern. Anderson.B > Before we continue, can I have your first and last name and the account number please? Anderson.B > Thank you for that information. Anderson.B > How exactly may I Assist you today Phil? Phil_ > "Your digital cable service has been disconnected..."  However, my account is current. When I went online to try to resolve I was told I needed a PIN number to access my account. I called 1-800-comcast as instructed and have now been holding for over 54 minutes. What's going on? Anderson.B > I see. Phil, on my end it seems that there is nothing wrong on your account. The only thing I can see here is that you have a 30 day delinquent amount of $1.91, other then that your account is active. Phil_ > By the way, my cable service is working on other tv's in the house. Phil_ > So what am I supposed to do? Anderson.B > Nothing Phil! Oh, why not pay the delinquent amount, it is only for $1.91? I can process the payment if you want me to Phil. Phil_ > You're telling me that my cable service was suspended over $1.91!? OK, I'll pay. What do you want - a credit card number? Phil_ > One more fact about this. I held on the telephone for 58 minutes and 34 seconds before the line went dead. Anderson.B > Yes Phil, I can have the credit card number, expiration date, and the type of credit card please. Anderson.B > I do apologize for the very long wait Phil. Anderson.B > I know how it feels. Anderson.B > Thank you for patiently waiting. Phil_ > I know that you are just doing your job with limitations placed thereon. But Comcast is going to now have to deal with a very unhappy customer who is aware of the remedies available to me. Anderson.B > I have already processed the payment of $1.91, please take note of confirmation number 01507B. Anderson.B > You have all the right to feel that way sir. I understand. Anderson.B > Changes will take effect within 24 hours, that includes your services. Besides this, would there be anything else. Anderson.B > Thank you for contacting Comcast. We appreciate your business. Anderson.B > Have a great day! Yesterday in Moss Point, Mississippi, Northrup Grumman officials briefed employees and community leaders on the capabilities of the company’s incredible Global Hawk, a “high altitude long endurance unmanned aerial reconnaissance vehicle” built in Moss Point. 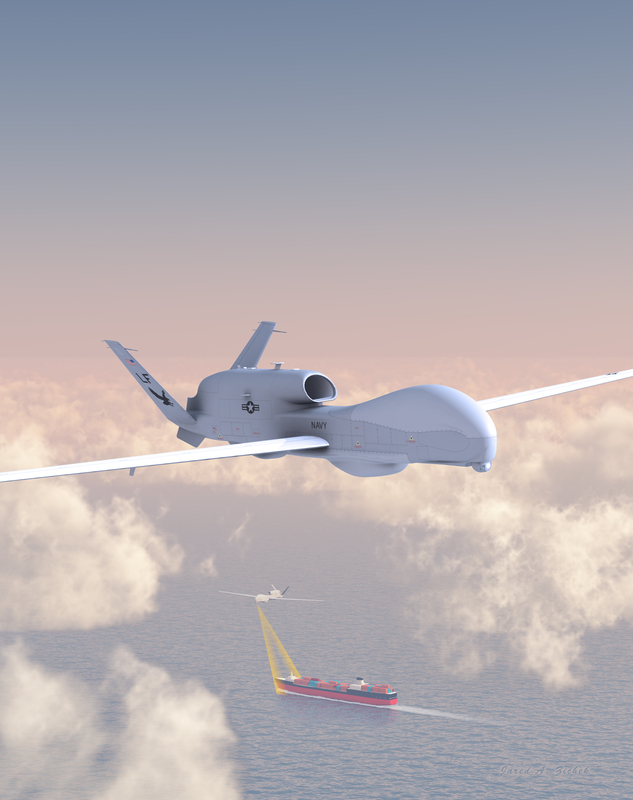 With the ability to fly as low as 500 feet and as high as 60,000 feet for 18 hours at a time, the Global Hawk has many military and non-military uses. For example, with all eyes to south toward Hurricane Gustav, the Global Hawk could be used to assist emergency workers if the hurricane threatened the Gulf Coast. …who attend Itawamba Community College. A college education is now an option for every high school graduate, over 650 students, in Lee County. The Lee County Mississippi Board of Supervisors and CREATE Foundation have established the Lee County/Marchbanks Helping Hand Tuition Guarantee Program… The program, which is the first county sponsored program of its kind in the State of Mississippi, is designed to guarantee fully paid tuition for four regular semesters of instruction for Lee County residents attending Itawamba Community College. Graduating seniors will receive tuition assistance, if needed, to close the gap between available federal, state, and private grants and scholarships. The purpose of the program is to improve educational attainment levels in Lee County, thus strengthening community and economic development. When I told a colleague that I would be having dinner at Giardina’s at The Alluvian in Greenwood the response was, “Phil, I know you’re a seafood person, but the best filet I’ve ever had was at Giardiana’s. Better than (names of famous steakhouses).” I took the bait (pun intended) and had the filet. It was as described, so I have no hesitation in recommending it. Three others in our group had filets and two had seafood. All said the food was among the best ever put in their mouths. My hat is off to our server, who knew the wine list by heart, but was not shy about making recommendations after I described what I looking for to go with that filet. All-in-all, it was a superb dining experience in a rather unique setting. Did I mention the private booths, each with a curtain-draped doorway? Our pre-dinner reception in the lobby of The Alluvian was something more like an after-work setting in a Memphis or New York hotel. At 5:30 p.m. the locals began arriving and mixed hospitably with the hotel guests. The “Billy Joel” sound of Danny Abraham on the piano and a bartender who wasn’t challenged by any drink request makes this venue one not to miss when in the Mississippi Delta. North Dakota’s state-owned highway system is the nation’s most cost-effective, an honor the state has held since 2001.